The Amateur Astronomers Association of Pittsburgh, Inc. (AAAP) has promoted popular astronomy in western Pennsylvania for over eighty five years. With over 300 members, it is one of the larger astronomy clubs in the nation. Our monthly meetings are held from September through May and are open to the public. (See the current calendar for time and place.) Each meeting includes a featured speaker; upcoming celestial events such as meteor showers, comets, occultations, and rare planetary alignments; and observations and techniques so that all members may benefit from the experiences. Past speakers have presented topics including meteorite hunting in Antarctica, cosmological modeling using supercomputers, and astrophotography with exotic equipment such as dry-ice cameras. Construction of the world’s first all-aluminum observatory dome. Provided the initial impetus and support for the construction of the (original) Buhl Planetarium. Participated in Project Moonwatch – the countries program to tract the first artificial satellites. The Astronomical League’s first Messier Certificate went to AAAP member Catherine Delaney. Member Tom Reiland was one of the originators of the Messier Marathon, an annual event to observe all of the Messier objects (109 or 110) in one dusk-to-dawn observing session. The installation of an official Pennsylvania Historic Marker honoring the location of the first ever astronomical dome constructed from aluminum. The naming of an asteroid after the co-founder of the AAAP, Leo Scanlon [#8131]. Construction an operation of two observatories. Education of the general public in the science and hobby of astronomy has always been a prime focus of the AAAP. 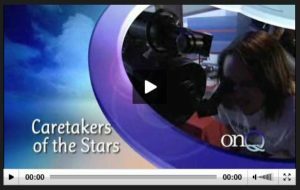 Through public Star Parties at the Wagman Observatory and at Mingo Creek Park Observatory, lectures at area bookstores and nature centers, and scheduled classes; AAAP members spread the word about the fascinating and inspiring wonders in the nighttime sky. The Amateur Astronomers Association of Pittsburgh is working with the Disabled Veterans Astronomy Project to establish an amateur astronomy observatory and amateur astronomy club at the Pittsburgh VA Hospital in Aspinwall, consulting on design, technical assistance and training. Veterans at the VA Hospital, Aspinwal will be able to use their telescope from an accessible observatory on the grounds or remotely from a laptop or tablet. Hospitalized veteran participants will have image processing to create astroimages from laptops and tablets and be able to hold astronomy events for their fellow hospitalized veterans onsite. Additionally,veterans from the Aspinwal VA Hospital will be transported to AAAP’s Wafman and Mingo Observatories.